Easter Bunny, now with less terror! This year we were able to get both a Santa picture and a Bunny picture without the little one crying in terror or running in another direction! 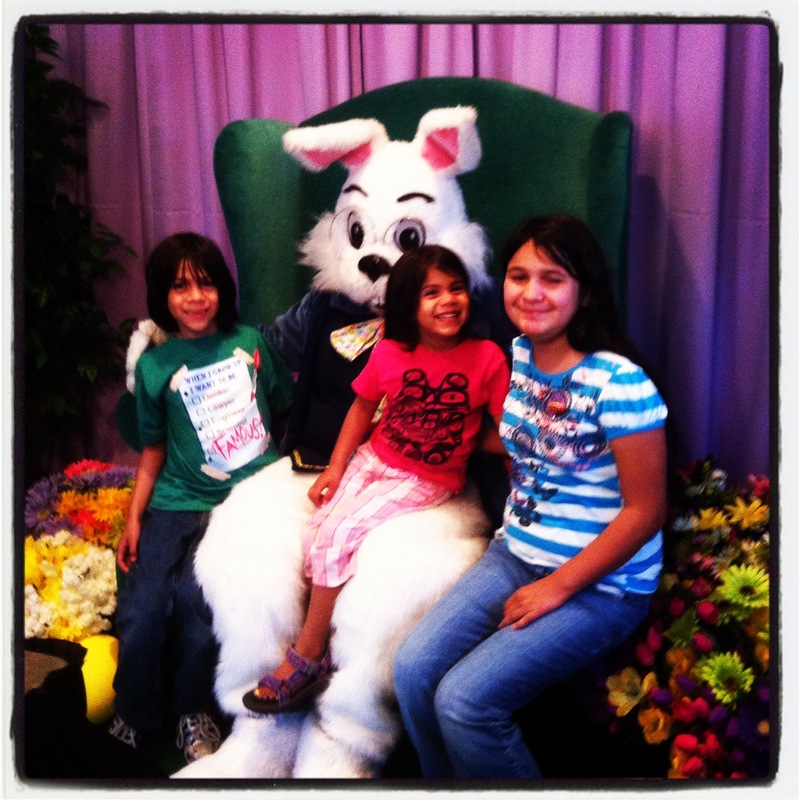 We happened upon the Easter Bunny at the Domain today with no wait, no line at all. It was a beautiful thing. This is my shot after my husband reminded me to take my own picture, the pics from the booth are even better. The Bunny looked bored though, my husband and I imagine that he pulls up the head and drinks from a flask when there are no customers around. This entry was posted in Instagram, Parenting, Project 366 and tagged Easter Bunny, holiday, Instagram, pictures, project 366, santa. Bookmark the permalink.